Sunlight will be on trial for the Golden Rose when she runs in the lead-up at Rosehill. Trainer Tony McEvoy is changing tack with Sunlight with a view to a potential start in the Group One Golden Rose. The three-year-old will get the chance to press her claims when she runs in Saturday’s Group Two Run To The Rose (1200m) at Rosehill. Sunlight has raced on nine occasions winning six times with a further three minor placings. After being beaten up the Flemington straight on debut, Sunlight went on to record five straight wins, including the Magic Millions Classic at the Gold Coast, before running third to Estijaab in the Golden Slipper at Rosehill. She returned in July to finish second to Nature Strip over 1050m at Morphettville before winning the Quezette Stakes (1100m) at Caulfield on August 18. McEvoy said he has noticed some changes in Sunlight since her latest victory and he wants to explore whether she can step up in distance. “I’ve decided to take her up there to run in the Run To The Rose on Saturday just to give her the opportunity to see if she’s a Golden Rose horse at the 1400 metres,” McEvoy said. “I know I’ve always said speed, speed, speed with her but I think I’ve seen some little changes in her. “So we’ll run her in the Run To The Rose and if she gives us enough confidence to want to go to the seven furlongs (1400m) we’ll go to that. Luke Currie, who has ridden the filly in seven of her nine starts, has the ride on Saturday. 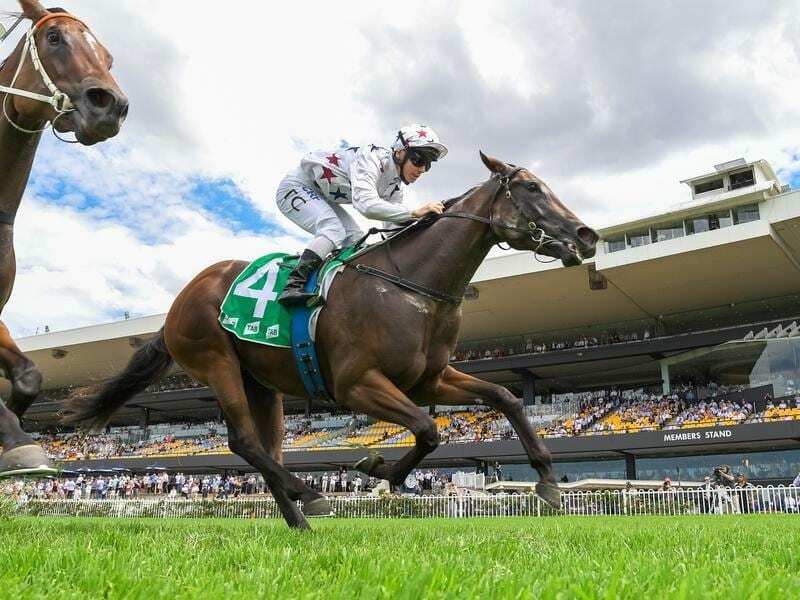 The McEvoy-trained Oohood, runner-up in the Slipper, finished fourth after a slow start in Saturday’s Furious Stakes (1200m) at Randwick after her fifth in the Silver Shadow Stakes over the same distance two weeks earlier.